An ocean of paper and gifts. Little Landon wearing Uncle Brian's Biker hat. 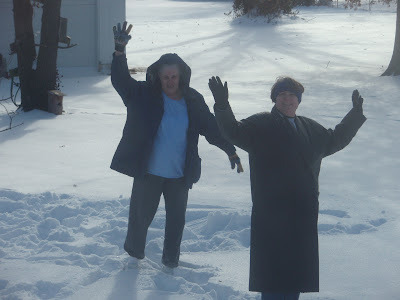 Mary and Sally enjoying the white Christmas.